Not sure how best to animate your internal comms video? We've compiled a list of animation tools commonly used by the eLearning and design industries. Adobe Flash was once the king of vector-based animation software but it has since fallen out of favour. It has easily-tested animation and a simple timeline with adequate features. You may also be familiar with it from basic school computer classes. If Flash is the Frankenstein of animation tools, After Effects is Ava from Ex Machina. This child of Adobe is industry standard for a reason. AE allows its passionate community of motion graphics artists, animators and compositors to design projects for a professional environment. It's likely that you've seen AE work across TV and cinema screens without even realising it. AE is particularly useful for rotoscoping and motion graphics, but those aren’t its only good points. With Cinema 4D integration, a vast library of tutorials, and receptiveness to third-party plugins and scripts, AE listens to and promotes its creative community. However, AE’s competitors are making their move with feature-rich updates whilst Adobe has focused on improving performance. This is a good thing, but could be detrimental long-term. Another point to consider involves Adobe’s subscription requirements. This may be a deterrent to artists who wish to transition to AE but aren’t ready to commit to the steep learning curve. Blender 3D is a real gem to those who cannot afford high-end software. A free, open source 3D animation tool, Blender competes well with other more expensive industry-standard programs. Other benefits include a massive community, keyboard shortcuts galore, and compatibility with Python. Unfortunately, Blender’s tricky interface may scare off first-time animators. The manual doesn't cover everything, so you’re better off asking other users for help navigating its many buttons and features. To some, Blender 3D may be a dive into the deep end. But can you really complain when you’re getting great animation software for free? Cinema 4D is a neat piece of software that meets the line between amateur and professional. As the industry standard for motion graphics, it integrates well with other software e.g. Adobe After Effects. C4D welcomes designers first breaking into the 3D scene with its versatile tools and moderate learning curve. With C4D, designers have access to a wide range of features. This includes physical and particle simulations, high quality rendering, character rigging and animation, and niche tools like the Book Generator. In-depth tutorials can be hard to find so you may be limited in resources. Try Greyscale Gorilla for a free intro to C4D. When it comes to animating 3D characters, specifically bipedal figures, Autodesk's Maya is the animation tool to choose. 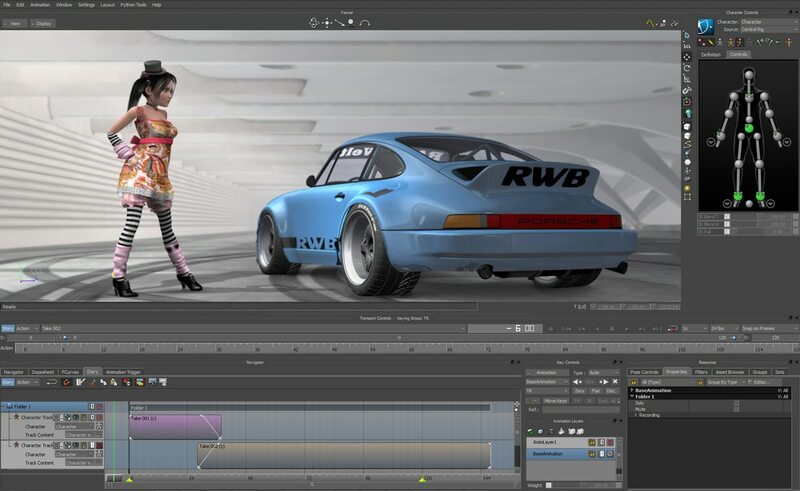 As one of the most feature-rich programs on the market, Maya allows its users to create movie-quality animations and characters. It’s also one of the most difficult to learn. Don’t let this deter you; Maya’s worth your time if only for the detailed bioproduct simulations. Creating fluid animations of skin, hair, and muscle comes easily to the program and border on “Uncanny Valley” realisticness . Another feature of note is the pose blending tool. With this, you can easily transition between a number of character poses, be it skeletal or facial. This wonderful versatility, combined with a deep pool of scripts and tutorials, should put Maya at the top of your list when considering 3D animation tools. 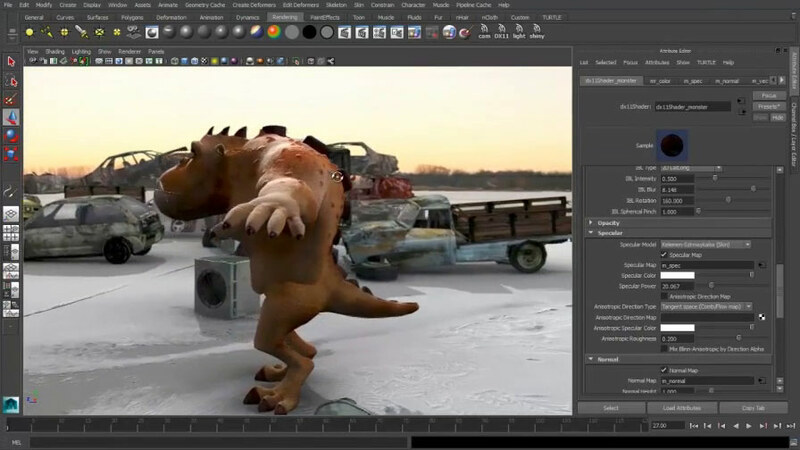 Motionbuilder is a zippy virtual production software built by Maya's creator, Autodesk. It's also the industry standard for motion capture. Motionbuilder allows you to finesse character movements with ease. Its workstation is easy to learn which makes it accessible to both new and practiced users. The program is quite limited outside of animating characters but a large amount of tutorials and resources more than makeup for it. Have you watched The Simpsons? Then you’ve seen Toon Boom Harmony in action. This software is most often used for professional-quality 2D animation projects. Toon Boom Harmony offers a number of animation tools and techniques, including cut-out and stop-motion animations, 2D and 3D integration, digital animation and rotoscoping. There's also the very useful Lip Sync tool. This feature "allows you to automatically synchronise a sound to a character's mouth element" as well as other facial expressions. Toon Boom's interface can take some getting used to but is completely modifiable to user preference. Similar to 3D animation software, Toon Boom Harmony includes character rigging tools. This makes it far easier to create smooth and natural movement in each frame. If its widespread use in commercial television and cinema is anything to go by, taking the time to learn Toon Boom Harmony can have a heavy payoff. If you really want to, you can use PowerPoint for more than dissolving slides and typewriter effects. Points to this guy for creating something amazing out of nearly nothing. Points deducted for it all being pointless.